Still image from Agi B. 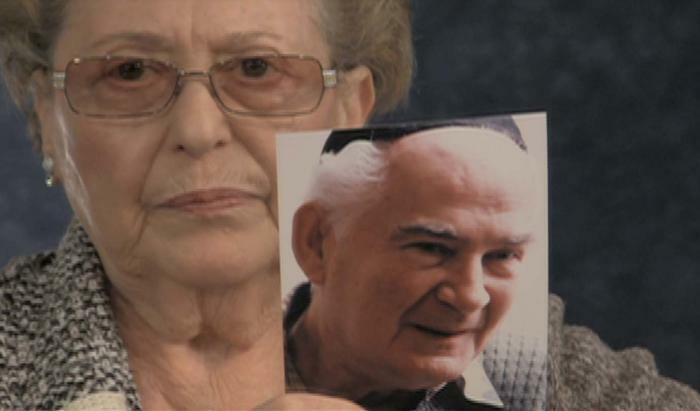 Holocaust testimony, October 18 and 22, 2013. SynopsisAgatha B. was born in Budapest, Hungary on December 26, 1932. She recalls her middle class family and talks about her parents, siblings, and extended family. Agatha discusses her life and family before the war, including antisemitic experiences. She describes the German occupation and her father’s deportation to a forced labour camp. She recalls sending him correspondence. Later, she was moved with her mother and sister to a house designated for Jews. She recalls her mother was deported shortly after. She describes the experience of witnessing her parents being taken away and the responsibility of caring for her sister alone. Agatha received four papers issued by Raoul Wallenberg from a non-Jewish family friend. Agatha recounts how her parents both escaped during a death march and returned to Budapest. She describes living in a safe house that was later occupied by the Arrow Cross. She discusses Soviet liberation and her family’s experience immediately after the war. Agatha describes meeting her husband, Tibor, in 1956. She discusses becoming a Zionist and life in Hungary under Russian occupation. Agatha talks about her experience fleeing to Vienna during the Hungarian Revolution. She recounts immigrating to Vancouver. Agatha discusses her experiences as an immigrant and facing antisemitism in Canada. She describes first talking about her Holocaust experiences and sharing her story with students. Agatha shows photographs saved by her sister’s mother-in-law.